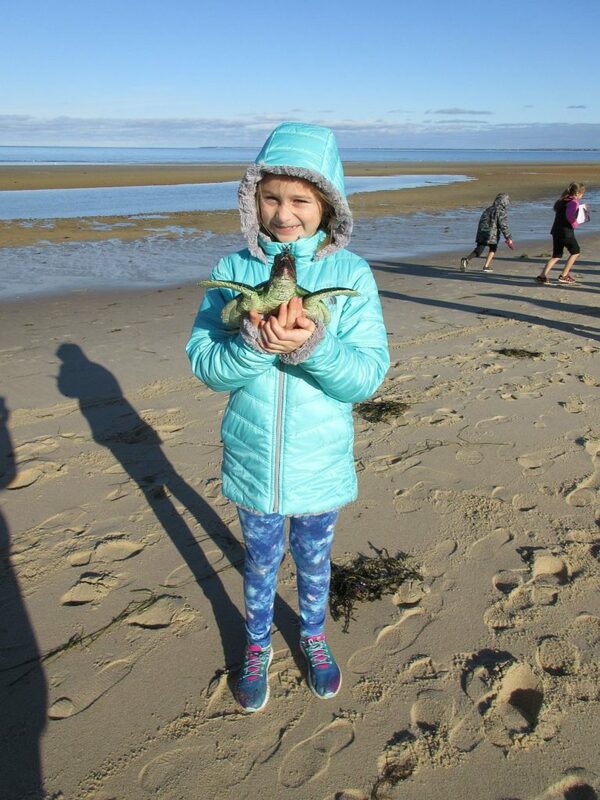 While hundreds of cold-stunned sea turtles were being rescued from local bayside beaches this fall, Outer Cape school children–most of whom live within 15 minutes or less from a bay beach—are getting front row seats for what’s become a unique natural phenomenon that occurs practically in their own backyards. 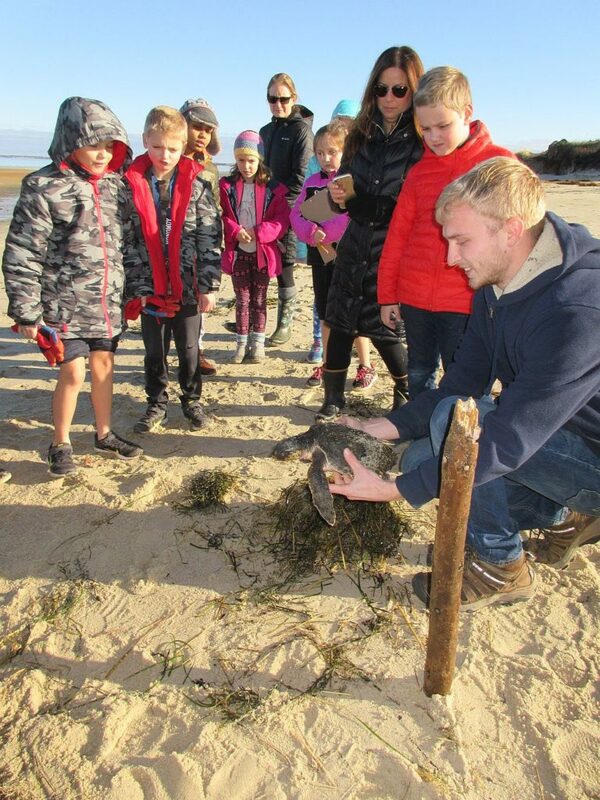 In a special curriculum developed by Wellfleet Bay educators, students from Truro to Chatham have been learning about sea turtles, how to respond when turtles strand on local beaches in the fall, as well as what causes turtles to come ashore. 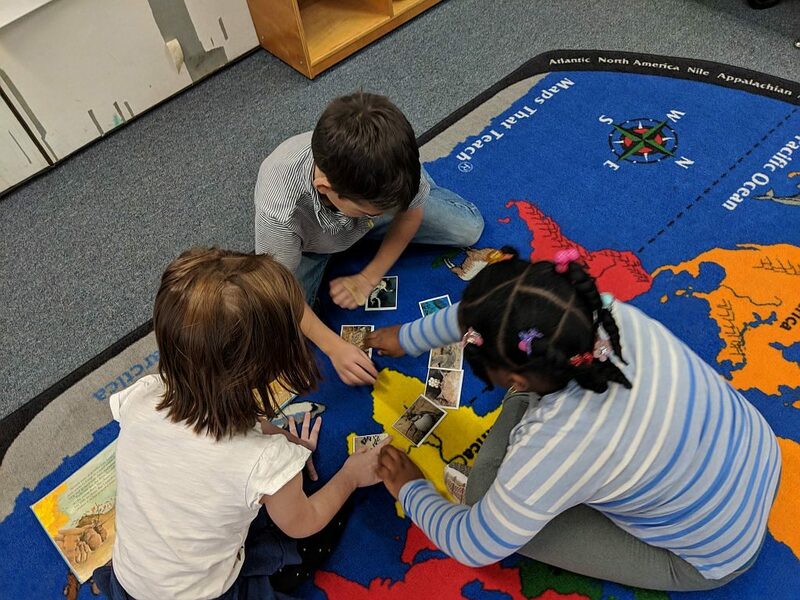 Truro second graders engage in a sea turtle life cycle game in their classroom. The program, which for some schools can run for a full year, covers fundamentals about reptiles, sea turtle species, adaptations, and life history. It also includes field experiences at the wildlife sanctuary and on the beach. 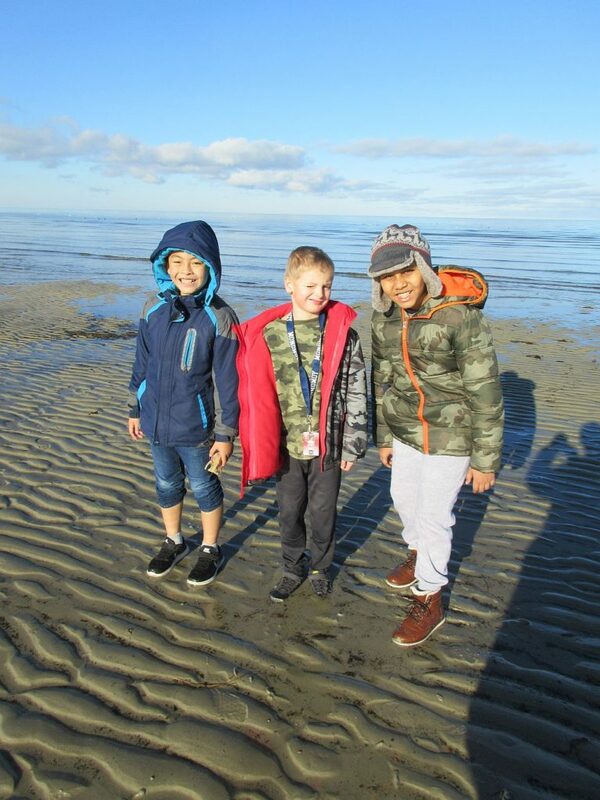 On the day they were patrolling for cold-stunned turtles, Chatham students got lucky: they happened to be at Crosby Beach on Brewster’s bayside when they got word someone had found a turtle. Wellfleet Bay turtle staff member Ben Thyng pulls a Kemp’s ridley from seaweed which the rescuer had placed over the turtle for protection. The driftwood stick in foreground was used to show Ben where to find the turtle. During a visit to the sanctuary, Wellfleet fifth grade students had a chance to see the sanctuary’s sea turtle “ICU” where staff members measure and weigh turtles before their ride to the New England Aquarium for rehabilitation. Like the staff, the kids kept their voices low, which is standard protocol for helping to reduce turtle stress. Having the chance to see a sea turtle at such close range initiates discussions about broader topics: sea turtle biology, the threats turtles face from vessel strikes, entanglements, and marine plastics, and the role of climate change in the cold-stun phenomenon. Despite the many challenges facing turtles, Cape kids learn they have a special opportunity to help protect them. Practicing sea turtle rescue with a plastic turtle. This entry was posted in Updates on January 20, 2019 by Wellfleet Bay. This is so encouraging, it is our younger generations that will carry on this important work. It sounds like a great hands on approach to science as well. YES!